What would you do with $300 worth of free craft supplies? 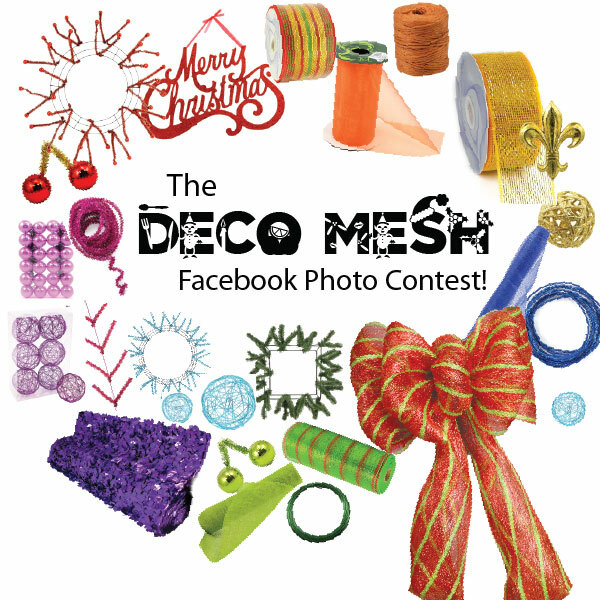 Enter our facebook holiday deco mesh photo contest for a chance to find out. We're giving away FREE product! Are you decorating for the holidays with Deco Mesh? If so, share your wonderful wreaths, sensational swags, gorgeous garland, and creative Christmas tree Deco Mesh creations on our Facebook page! Post a photo of your Holiday Deco Mesh decor on the Mardi Gras Outlet Facebook page. The top three photos with the most "likes" win a Mardi Gras Outlet store credit for $300, $200, and $100, respectively. Please post only one photo per person. Entries must be in by December 14th. Voting tabulated at noon on Saturday, December 15th. Click HERE for more details and to "like" your favorite deco mesh holiday photos on our facebook page. Good Luck and Happy Holiday crafting!